The KH4021D diesel pressure washer is a heavy duty, industrial unit popular with contractors, builders and the hire industry. 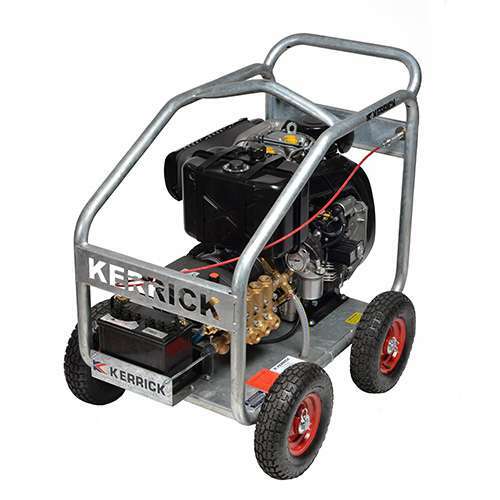 This diesel pressure washer operates at 4000 psi with a flow of 21 lpm unit and has an electric start which helps to give it a long trouble free life. A practical, Australian designed and built unit diesel water blaster, it has a HAWK pump that features ceramic pistons and stainless steel valves, a thermal dump valve. New zinc plated rust resistant roll frame. Large pneumatic wheels for easy movement.